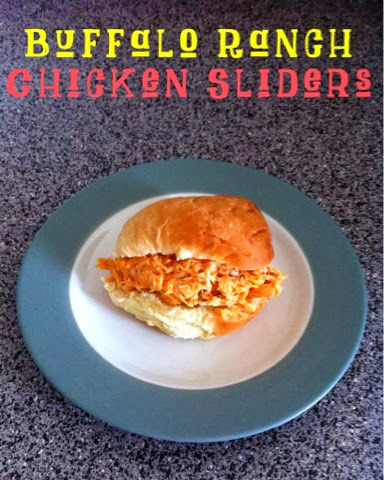 These sandwiches are pretty amazing... in fact, this recipe originally came from my friend Jan who makes this as a dip! Whenever we had an office potluck I would basically beg her to make it, and then insist she keep it outside of my cubicle until the potluck was ready to start. (I would make sure no one was watching and then sneak spoonfuls.) I mean, really, I am pretty possessive over this stuff. 1. Combine cream cheese, hot wing sauce, and ranch dressing into a large sauce pan and slowly cook until cream cheese is soft. 2. Add cooked chicken to the sauce pan and mix well. 3. 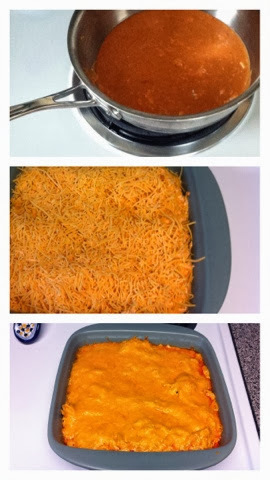 Pour into baking dish and top with shredded cheese. 4. Place in oven for 30-35 minutes at 350 degrees. 5. Serve on a slider bun or eat as a dip with tortilla chips.